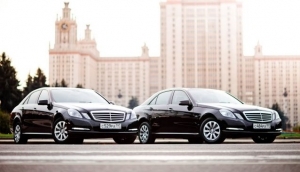 There are a number of reputable taxi services in Moscow. It's easy to book a taxi to take you where you need to go, as many major taxi firms have helpful English speaking staff. They can also arrange airport or station transfers. Taxis usually arrive within 20 minutes, although do book in advance if you can for better rates and peace of mind. People in Moscow do use unofficial 'gypsy cabs' but the general advice is not to. If you do decide to then make sure only the driver is in the car and always agree on a price before you get in.